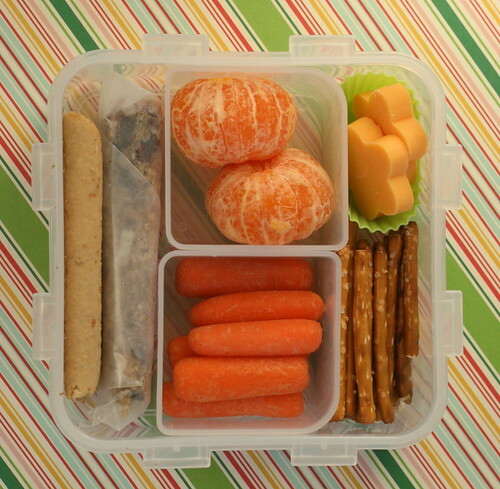 Here are a few of Ethan's bentos from this week. Hold on to your seats, it's going to be an exciting time. (not really). Same type of box from above, but using only two of the inner square dishes and pushing them to the middle. Hi. You have a neat food blog. 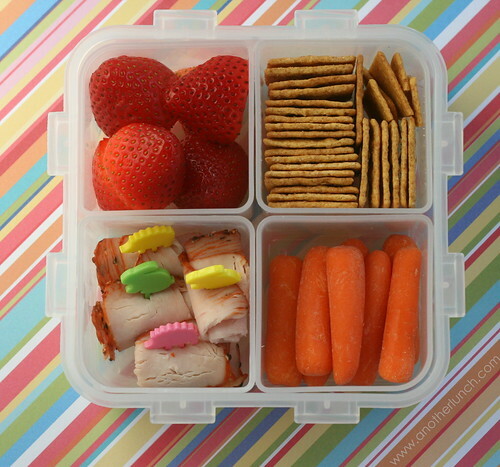 I know it helps me with lunch ideas for my toddler for school. You probably have been asked this a lot but where did you get the container for this post? Been looking for something with mulit compartments. Thanks so much Melissa! I appreciate it. Because of your blog, I purchased 2 of these Lock and Lock boxes a little over a year ago. 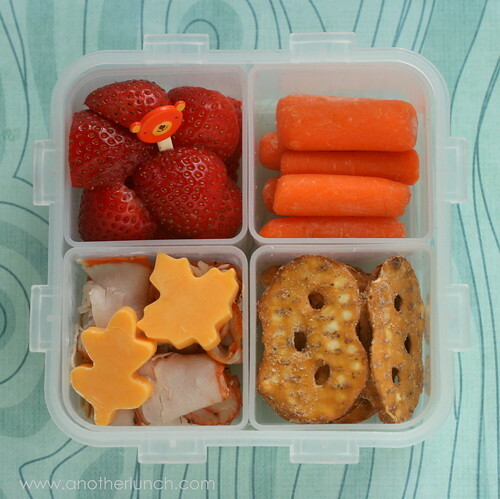 I pack my kids' lunches/dinners in them multiple times a week We just LOVE them!! It's been a lot of fun to create in them, and I love using so many fewer plastic bags! Thanks for the inspiration!